When you have hundreds or thousands of files on your desktop, it can be difficult to search for the files that you want to find. This is especially true if your desktop is not organized, which means that you simply put your files here and there in your desktop folders. It can become even more difficult to find the files that you are looking for. It doesn’t matter whether it is a document, an image, or any multimedia files. If you cannot find it and it is important for you, it can lead you into trouble. This is why desktop file search software is necessary. It can help you search any files on your desktop, allowing you to find the files that you are looking for right away. 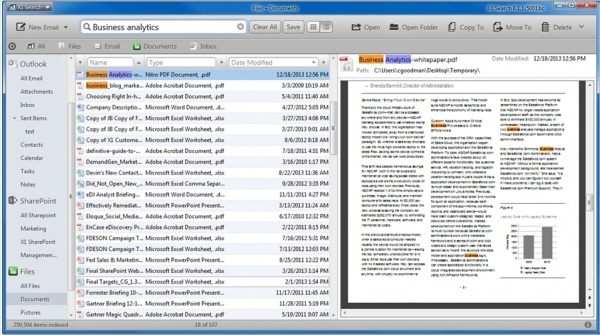 DocFetcher allows you to search the files on your local desktop computer, with the ability to search it based on content. In this way, you can search text documents easily just by searching some words that are contained in these documents. 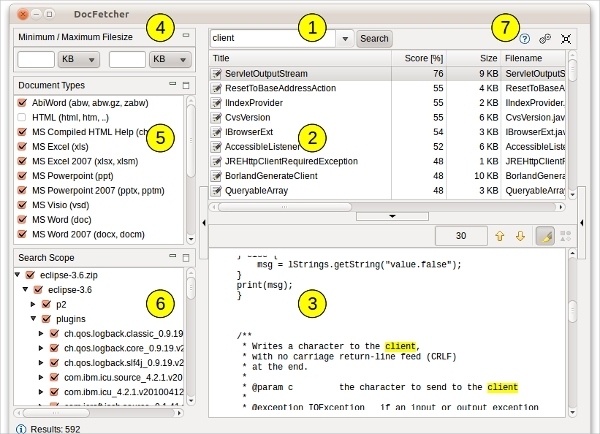 This is an open source desktop search software that offers various features, including archive support, portable version, search in source code, HTML pair detection, and powerful query syntax. 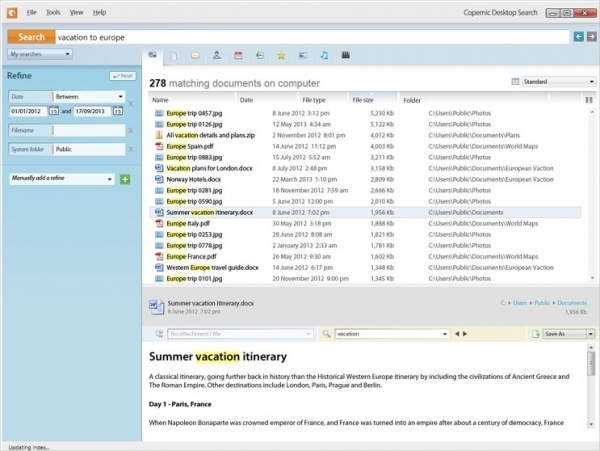 This is a desktop search software that allows you to find files, documents, and emails very quickly. It helps you to keep your productivity at the peak level. This software helps you to stay organized, keep your peace of mind, and prevent you from wasting your time just to search for some files. It features quick installation, performance-oriented search experience, secure information, user-friendly system, and technical support. 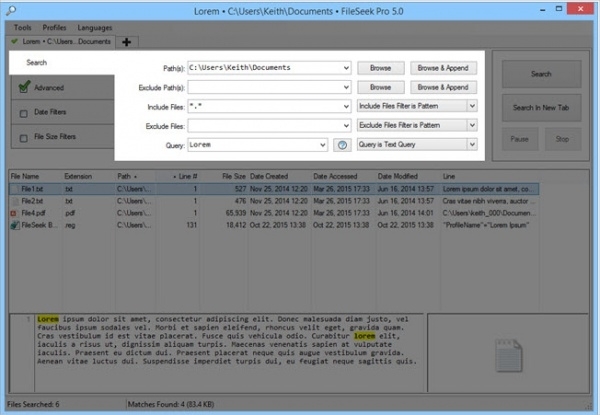 FileSeek offers lightning fast search for your local files, providing you a quick access to the software with Windows Explorer integration. It features search profiles, tabbed interface, advanced querying, sync your settings, and search result actions. Since the software doesn’t use the background indexing process, you can be sure that the software won’t affect your system performance while not in use. 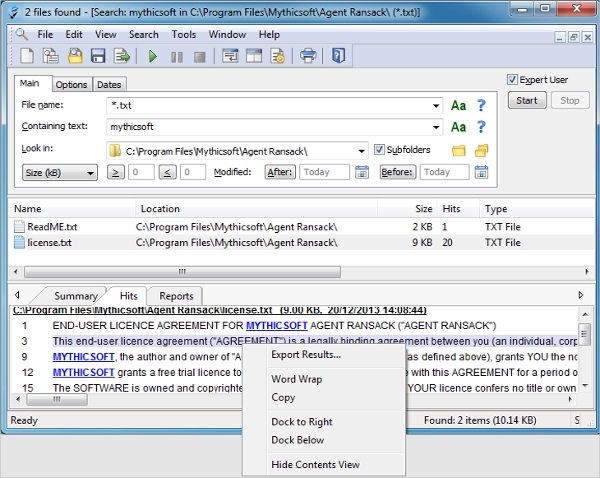 Instant File Find allows you to search files on your computer instantly, with the search results delivered directly while you type. It offers various features, including instant search, fast indexing and searching, real-time updating, as well as easy and simple user interface. It also supports the search for network drives and external drives that are connected to your computer. 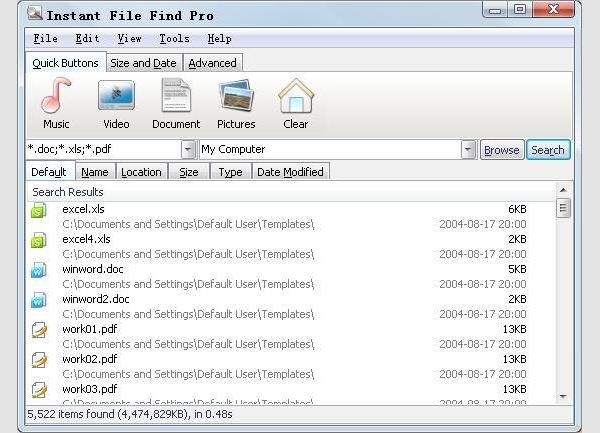 This small and simple desktop file search software allows you to locate any files and folders by searching for its name, and you will get an instant result from your search. It features small installation file, clean and simple user interface, quick searching, quick file indexing, file sharing, real-time updating, and minimal resource usage. This software does not search file content, just the name of the files and folders. Locate32 helps you to find files and folders based on their name, by searching the database of file and folder names that it has created upon installation. It provides fast searching speed that allows you to find your files quickly. This software is an open source project that is available for all Windows platforms, both 32-bit and 64-bit. This software provides a local file search tool that allows you to search any files on your computers, whether it is a document, movie, music, or any other files, with support for removable and FAT drives. It features an easy-to-use interface, fast search speed, quick search, search by wildcard, and compatibility with all versions of Windows. This software can provide a faster search process than the default Windows search function. Listary provides a revolutionary search utility that makes searching any files and launching any programs a breeze. This Windows application is designed for casual and power users, offering great features such as find as you type, disk search, launch apps, quick switch, actions and context menus, favorites and history, commands, web search and web site launch, and mouse. Listary is designed to help increase your productivity and prevent you from slowing down your workflow. 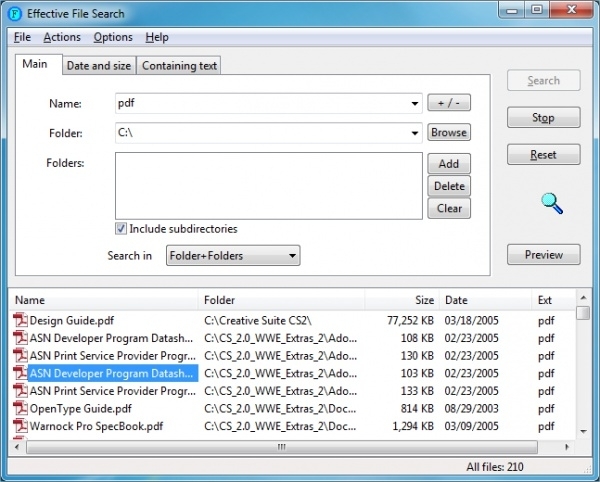 Effective File Search is a simple yet powerful search tool for your local drives. This software allows you to search any files on your Windows computer, which helps you to save a lot of time in finding the files that you need. It features support for hidden files, search filtering, text or hex search, advanced searches, support for all file formats, Windows Explorer functionality, advanced print options, and administrative options. 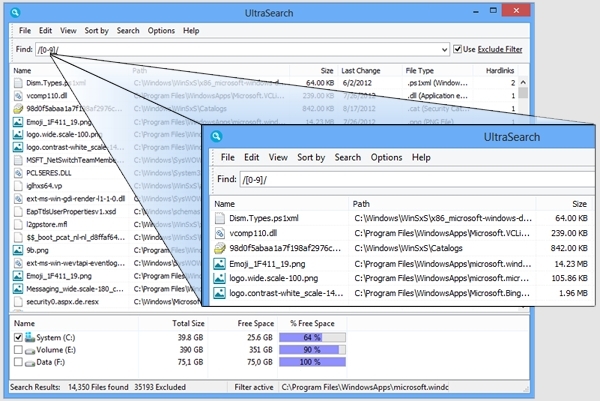 UltraSearch allows you to search any files on your local NTFS drives and display the results in just a few seconds. This software doesn’t work by indexing your files in the background, but it uses the MFT (Master File Table) information to speed up the search process. It features support for regular expressions, exclude parameter, search result sorting, and recently used search patterns. 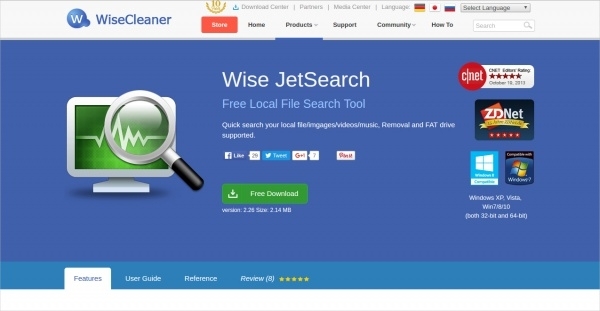 This software allows you to search any files and data on your local computer in a simple and efficient way. It offers various features, including more search speed, special search functions, true search text, full wildcard support, exclusion list, two view modes, and two operating modes. It also provides a plugin support to allow you to use any new search features without the need to reinstall the software. Agent Ransack is a file searching utility that helps you to find the files that are located on your local and network drives. It features immediate results, Boolean expressions, office formats, Perl regex, fast searching, printing and exporting, and 64-bit version. 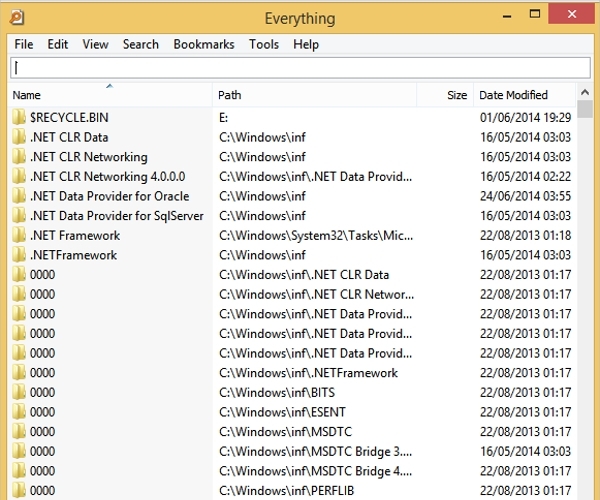 Each file that you search with this software is highlighted based on the keywords that you use to search the files. Most desktop file search software is developed for Windows platform, as they are usually designed to replace the default Windows search function to provide a better search experience for the users. However, some of the desktop file search software is available on other platforms as well, such as Ubuntu, Mac OS X, and Android. 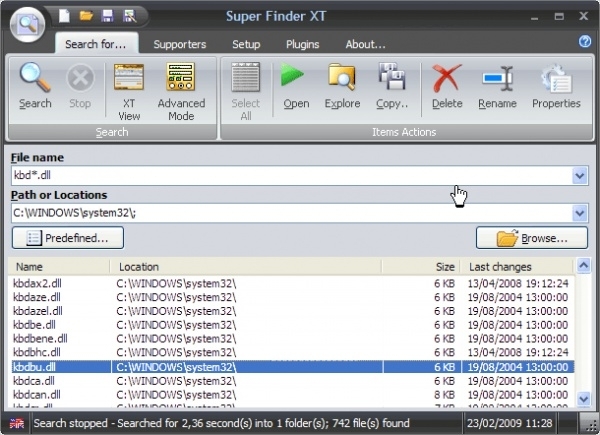 X1 Search is an award-winning desktop search utility for Windows that allows you to search various files that are connected to your computers, including local files, remote file shares, emails, attachments, and SharePoint data. It offers various features, including best indexing speed, unified search, keyword and Boolean search, proximity search, and file previews. It is designed to enable individuals and businesses to increase their productivity. This app allows you to search files and contacts easily on your Android device. 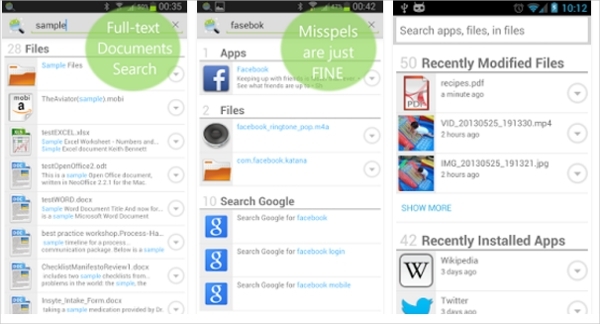 It features file search, contact search, app launcher, Google query suggestions, fuzzy search, match preview, recently installed apps, type ahead, search by metadata, and offline search. It supports various file formats, with no support for SMS, calendar, and email search. 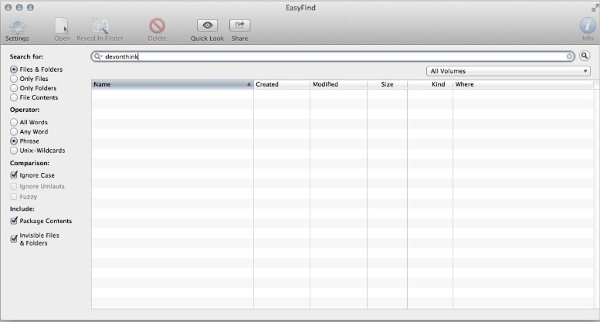 EasyFind for Mac is the type of desktop search software that allows you to find files and folders by the name or content, using the advanced Boolean operators to provide the best search results. The features available on this software include displayed file size, file exception, localizations, and quick look panel. This software can be the best desktop search alternative to Spotlight. 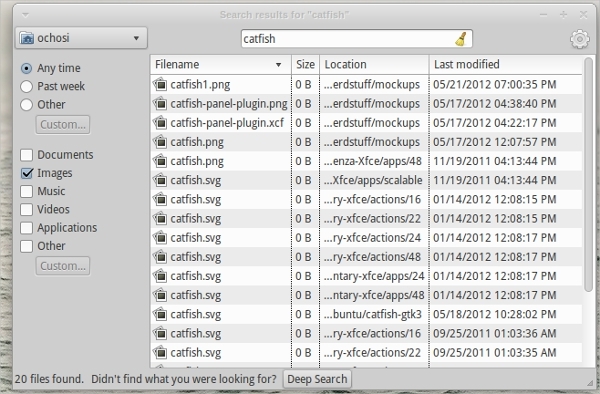 Catfish is a powerful search tool for Ubuntu, with the graphical user interface that allows you to search files and folders on your Ubuntu desktop more conveniently. The interface of the software is simple and lightweight to allow fast searching and less distraction. It provides the advanced search options that allow you to filter your search by date or file type. 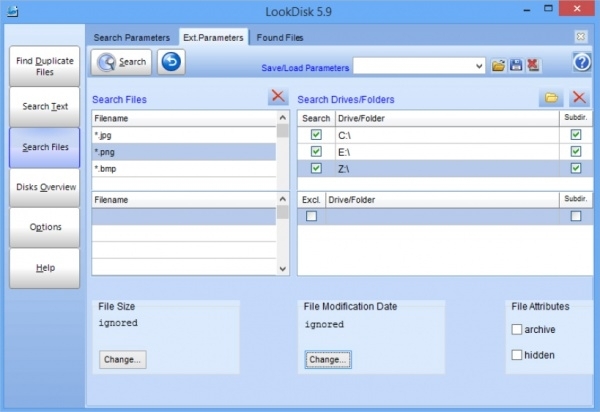 LookDisk is a simple and convenient software for searching your files and folders on your desktop. It offers various features, including search duplicate files by name or content, search any files with certain parameters, search any text on your file, display disk overview, and support for all archive types. 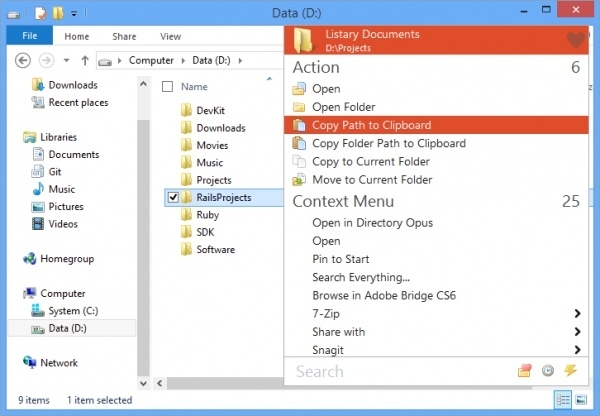 This is a handy search tool that you can always rely on when you need to find any files on your local drives. What is Desktop File Search Software? Desktop file search software is the type of software that works like the search engine for your computer. The main function of this software is to search the files that you need to find on your desktop, using various parameters and advanced search options. You can search your files by name or by content, and the software can provide instant results for you as you type. Desktop search software is especially useful to help boost your productivity, so that you can avoid wasting time searching for files that are buried deep within your hard drives. This software can provide a better search experience than the standard search function found on your operating system. How to Install Desktop File Search Software? To install a desktop file search software, all you need to do is visit the official website of the respective software and download the installation file from there. After that, you just need to run the installation file on your computer in order to start using it. Most desktop search software is not difficult to use, and you can usually start finding the files that you need right away once the installation is completed. If you want to find some important files on your computer, but you don’t remember where you stored it, you can use the desktop file search software to find your files immediately. Whether you only remember the name of the file or the content within the file, you can still perform the search and find the files that you are looking for right away. This software is helpful for anyone who doesn’t want to waste their time to search for the files that they are looking. By using this software, you can boost your productivity and keep your workflow uninterrupted because you no longer need to spend a lot of time searching for important files on your computer.